It DOES NOT MEAN the end of the world. This is why we prep. The threats that we face are many. As preppers we want to survive Teotwawki. The collapse events vary in degree, but your preparedness plan should prepare for the worst. Whether fantasy, or reality, we all have “collapse events” that we prepare for. Those who are not preppers still have their “collapse event”. TEOTWAWKI could be loss of a job for which they maintain a rainy day fund. It could be damage to their home from storms, fire or vandals, for which they carry insurance. For the weakest among us, TEOTWAWKI could mean a zit on their chin before a big date for which they have makeup concealer. 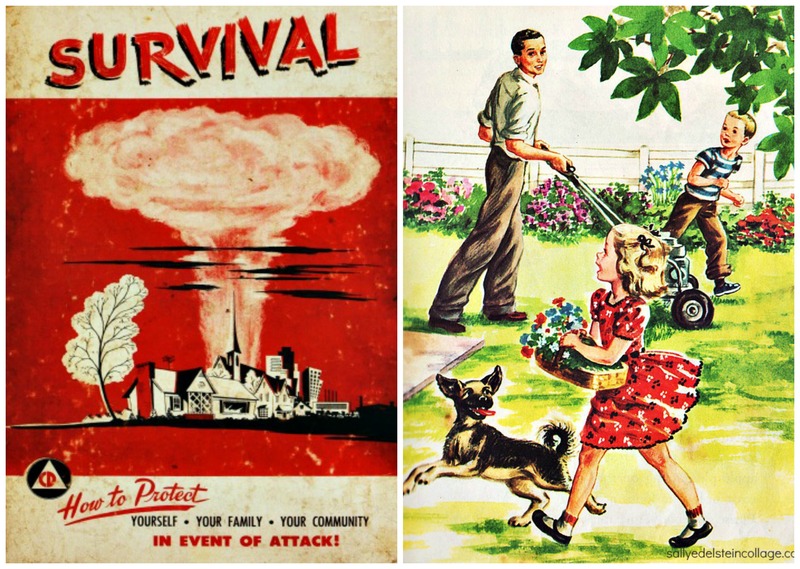 Most Preppers’ number one threat is economic collapse. Many of the other threats that we face would necessarily result in economic collapse. All great empires and societies have collapsed. There are no exceptions. Are Americans so arrogant that they don’t think it can’t happen to us? Or, are most Americans simply oblivious sheep unaware of the wolf (economic collapse) in their midst. All empires end when they are defeated by a more vigorous empire … or when their financing runs out. The earth’s weather is very mysterious. One day it is sunny the next it is raining. In fact, sometimes as you are driving down the road, you hit the “wall” between a sunny day and a severe thunderstorm. Man has spent years trying to predict weather patterns but it is still an inexact science. 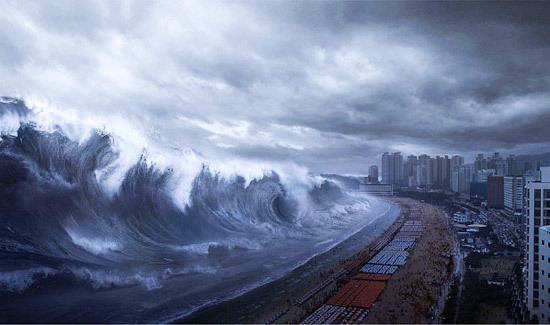 Some of the most common occurring disasters of nature include hurricanes, tornadoes, volcanic eruptions, tsunamis and earthquakes. A Natural Disaster may not necessarily be a collapse event. Size, in this case, matters. Prepping for a SuperVolcano eruption, or an earthquake along the New Madrid Fault is beyond the normal preparations one may have for a hurricane. For one thing, volcanic eruptions and earthquakes are difficult to predict. But if you have the will to survive, be ready for all contingencies. Simply put, a CyberAttack is a deliberate exploitation of computer systems. CyberAttacks are used to gain access to information but can also be used to alter computer code, insert malware or takeover the operations of a computer driven network. One of the threats concerning preppers is the use of a CyberAttack to cause a grid down scenario. There are many bad actors on the international stage that could wreak havoc in the US by shutting down our power grid and enjoying the resulting chaos. No bombs. no bullets. No swordfights. Just a few keystrokes at the computer. And we’re done. An electromagnetic pulse, referred to as an EMP, is a high intensity burst of electromagnetic energy that can be delivered in the form of a nuclear weapon detonated above the earth’s surface or by a sudden burst of solar charged particles in the form of a coronal mass ejection (discussed here). An EMP attack would decimate America’s electrical and technological infrastructure sending our society back to the 19th century. Are EMP’s the thing of fiction? Not necessarily. It is estimated by a Congressional study that nine out of ten Americans would ultimately die as a result. 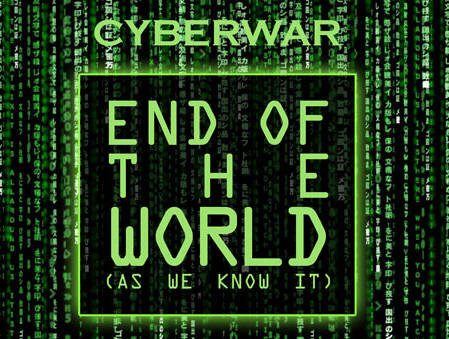 It is the grid down scenario resulting from the EMP attack that concerns many preppers. 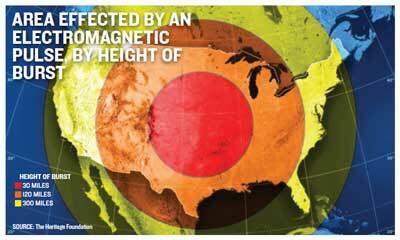 Further, many preppers realize that any rogue state or terrorist organization could obtain the technology to blast an EMP above the United States. 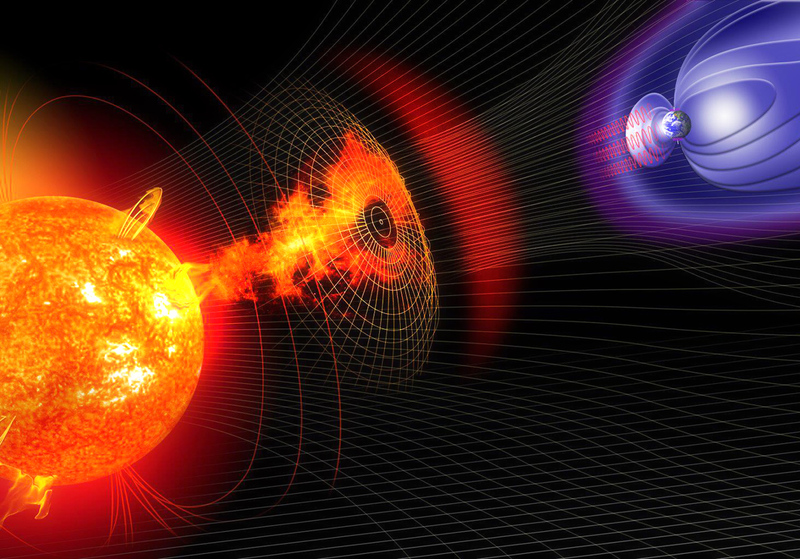 Like an Electromagnetic Pulse attack, a Space Weather event called a Coronal Mass Ejection, or CME, can cause serious problems for electrical systems on Earth. A CME produces a magnetic shock-wave that extends billions of miles into space. If the Earth is in the path of this shock-wave, our electrical systems can be overloaded causing massive damage to the power grid. In 1859, a massive solar flare hit North America causing telegraph systems to meltdown. Known as the Carrington Event, a CME of this magnitude today could knock out the Power Grid throughout North America. In July 2012 the Earth narrowly missed a CME of this magnitude. A pandemic is an epidemic of infectious disease that has spread through human populations across a large region. Think Ebola, cholera, smallpox and influenza to name a few. A big concern of scientists is the developing antibiotic resistance of some “super-bugs”. 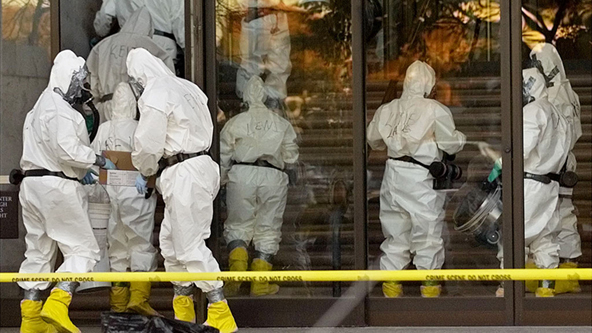 Where will the next pandemic come from? It can be carried by an airline passenger. It could be brought into the United States by an illegal alien via our southern border. It could be delivered by a Bio-terror attack. Many will tell you that it’s not a matter of if, but when. I believe that the world is becoming increasingly more likely to see a major event. It’s a process that is highly predictable. A pandemic outbreak in today’s world would likely travel much quicker, and could cause far more deaths than previous pandemics. 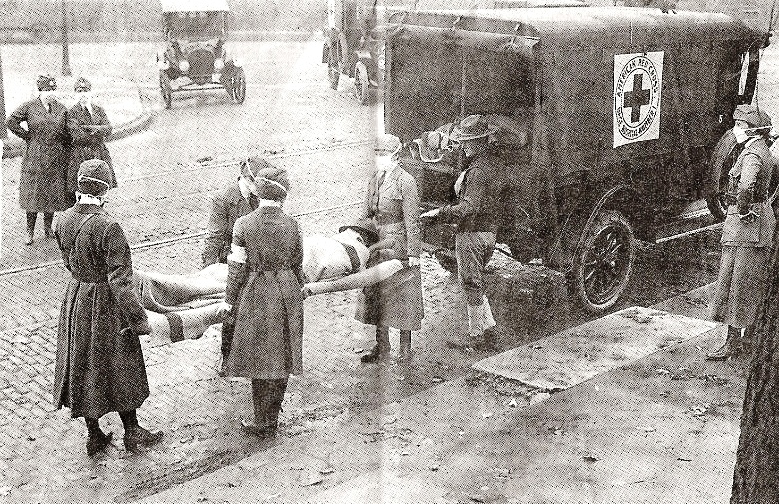 Think that almost 100 years ago, when we had the 1918 pandemic, it could take months to circumnavigate the globe. Today, it can be accomplished in a day. With more individuals traveling than ever before, the opportunity for a pandemic strain to spread is greater than it has ever been. A bio-terror attack is the deliberate release of viruses, bacteria, or other germs to cause illness or death. These germs are often found in nature. But they can sometimes be made more harmful by increasing their ability to cause disease, spread, or resist medical treatment.The expectations of the general public regarding a Bio-terror attack involve how should I be equipped in the form of apparel, masks, etc. Also people want to know whether they are infected and what drugs or vaccines are available to them to prevent, or treat, infection. A Near Earth Object, NEO, is an asteroid, comet or large meteoroid whose orbit intersects the Earth’s orbit and which may pose a collision danger. Throughout the Earth’s history, NEO’s have been responsible for extinction events, such as the demise of dinosaurs. NASA tracks Near Earth Objects through its NEO program and it lists every known potential future Earth impact event. 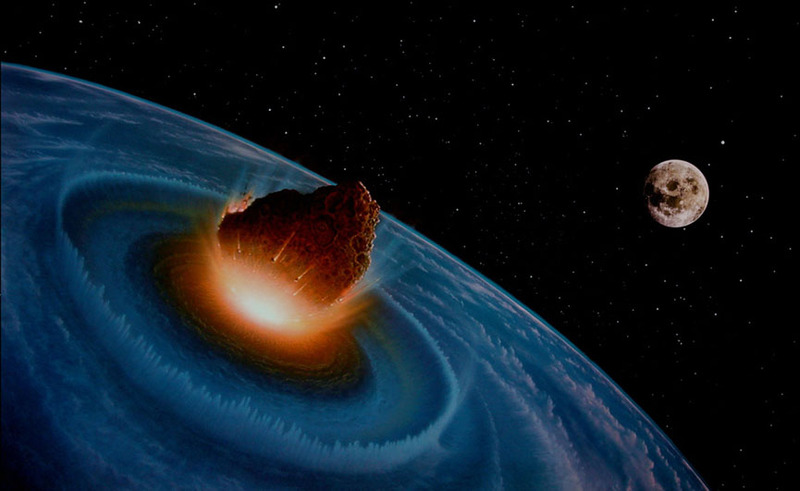 Depending upon the size and nature of the NEO, Planet Earth may be facing Armageddon. They call it an extinction event. I call it: We’re F***d.
Nuclear War, the exchange of nuclear weapons between two or more countries, is unthinkable. It can’t happen. Right? Wrong! Most people believe that a conventional Nuclear War between say, the US and Russia, would result in mutual annihilation and destruction. Hence, that alone has a deterrent effect. However, there are new players on the nuclear stage, such as North Korea, Iran, China, Pakistan, India. Most of these countries don’t like us very much. What if nuclear weapons fall into the hands of terrorists, who have nothing to lose? Even a small exchange of nuclear warheads will create a global environmental catastrophe. A nuclear exchange in the northern hemisphere would result in TEOTWAWKI. Scientific models reveal that the Earth would suffer a 20 year long winter and worldwide famine. Fiction. Right? No need to prep for the Zombie Apocalypse. I thought the same thing until I saw video of the dude in Miami eating the other dude on the sidewalk. That said, even the government has used the prospect of a zombie apocalypse to encourage Americans to be better prepared for disaster. Yes, The Walking Dead is the most popular show on television. It is fictional. But, people love it and if it turns them to prepping, all the better. The above scenarios are not “fear-mongering” as many wish to proclaim. 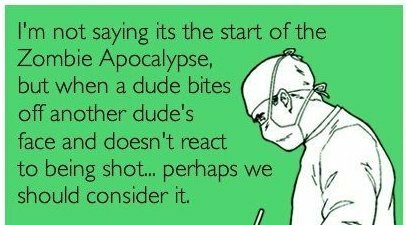 There are historical examples for each (except the zombie apocalypse, as far as we know). We believe that fear is a great motivator. Whatever it takes to create more preppers, then I am all for it. 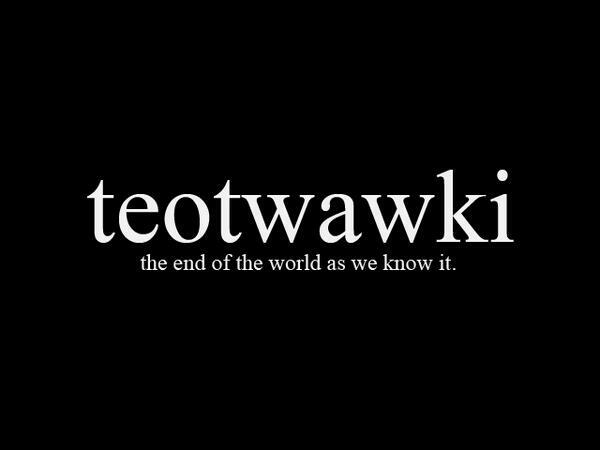 So, what is your TEOTWAWKI? Vote in our poll at www.BobbyAkart.com. ~ by Bobby Akart, Contributing writer to the American Preppers Network and Amazon best selling author of The Boston Brahmin Series and Evil, Meet Opportunity . 9 Comments on "What is your TEOTWAWKI?" Agreed that an economic collapse is the most likely scenario, but the question then becomes SLOW OR FAST? Do we drift into bad times, or is it a swift process? The debacle of 2008 was a long time brewing but, when it happened, it happened fast. Might it be EVEN FASTER next time? Hi Erik and thanks for reading! I believe economic collapse comes about gradually unless a collapse event accelerates the process. Author Steve Konkoly and I have just released Book One in The Boston Brahmin series entitled The Loyal Nine. We depict an America in social and economic decline – gradually. The world is one bad news story away from the “swift process” you allude to in your comment. 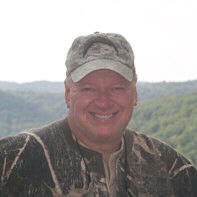 Thanks again for reading and congrats on your new website – PreparedMindset.com! I think an economic collapse is inevitable given our unrestricted spending and ever growing debt. I do think it will be a time-release event rather than an over the cliff event. The dollar will lose value (probably 10-15%) when the Chinese Renmimbe (Yuan) becomes a reserve currency this October. Not nuclear war but a nuclear detonation in a major American city is the next most likely scenario as I see it. A 10 kiloton suitcase bomb would just be too easy to import through our porous borders and plant. I think this would be easier for terrorists to achieve than an EMP and the resulting tightening in border and internal security would foster a police state environment that will undermine the very freedoms that make us what we are. I would say the collapse of the money system is very likely. But a natural disaster is more likely and could be the worse of the two. NEO’s, CME’s etc we can’t really know how likely they are to occur in the next 50 -100years. Get your house in order, if it isn’t already. Prepare temporally and spiritually. Ensure that you will be part of the reason that God will side with us, because we’ve chosen to side with Him! For more preparedness info … PLEASE check the sites i help admin… If you have ANY questions at all please ask..
Osceola County Mercury One http://mercuryoneosceola.org/ . putting your trust and faith in God. Wondering what you can do to help your family, community and Republic? If you live in the southeast one thing you can do is check out SECOM. Get involved with a Community based Org where most everyone can get involved and make a difference. SECOM is a Constitutional Militia with the focus of reaching out to our communities and arming our communities with the tools for education , defense , prepping and Survival. SECOM is looking to reinstate the sense of community within our communities. We The People-In Full Support of Constitutional Ideals. We believe that the soul of this nation is the Family. and wherever it is called for. If you are a United States Citizen and you believe like we do, join us. “We the People” are the only hope that this country has. Check the content here and judge for yourself. Violence is contrary to natural law, except in survival and defense. We do not offer violence as a solution to anything and will not accept members that do! We train fervently only in order to survive the violence so often offered by others. Still dont know the truth about Constitutional Militias and how they are our friends and not the enemies that the MSM paints them to be.. Here is a little history and some facts on the 2nd Amendment and Constitutional Militias… for those that are not familiar with the constitution and US history. This is the best video i have seen explaining the The Second Amendment and the facts about it. Educate yourself , friends and family. Make this viral today. We might need it soon. Who is the Militia. You , Me, any citizen that will protect the constitution , their family and their community. is Dedicated to the Preservation of our Freedom, the Security of our Rights and the Restoration of our Constitution to its rightful place as the LAW of our great Republic. IF YOU WANT TO PRESERVE YOUR RIGHTS, AND FREEDOM WATCH THIS VIDEO, AND JOIN US IN THIS MOVEMENT. As defined by our founding forefathers, the militia is defined as “the whole people”. in times of disaster (i.e. hurricane, floods, etc). A chain of command, which we can use to offer leadership and assistance to our fellow citizens, community and families. A legacy passed from our forefathers to us; and from us to our posterity. Responsibilities. An organization of, by and for the Constitution of the united States, and the people whom they serve. An offensive force. A racist or subversive group. A private army subject to the dictates of any individual, corporation, or other private group. Who Belongs To The Militia? Plumbers Salesmen Nurses Electricians Truckers Students Housewives Construction Workers Mill Workers Carpenters Mechanics And the list goes on.!!! To promote the safe and responsible use of Arms for the protection of our families, our property, our American way of life and our republican form of government; To teach that our Liberties and Rights are not limited to those which are enumerated in the Bill of Rights; and are granted by our Creator. To assist duly elected, sworn and bonded public officials in time of emergency or in the defense of our God – given Rights, Liberties, and the Constitution(s). I used to think along the lines of a single event causing TEOTWAWKI. My thought process was X happens then we’re in the middle of it. Over the last couple of years though I’ve changed my thinking to consider multiple events in sort of a cause and effect progression. I agree that economic collapse is pretty much a given. It could be the trigger event or as a result of something else but it is going to happen. Any of the disasters above could trigger it but which ones might occur as a result of it? Also, what other disasters not listed might result? Certainly EMP attack and nuclear war could happen. Not listed but possible is a foreign invasion or activation of illegal alien criminals already here. As with financial collapse I believe martial law is very likely at least for some period of time. It could also trigger the collapse. OK, I’m babbling again. But I believe we should consider multiple events occurring over some period of time. I constantly update my scenario to suit current events. Right now we have everything in place for global insanity this summer. If the riots/looting spreads like the regime and media so badly desire we could be looking at martial law quickly following. (any coincidence that everything needed for martial law is in place?) Both could trigger a financial collapse which would further civil unrest. Throw in some coordinated terrorist attacks for good measure and if martial law isn’t already in place it will be now. Anarchy will quickly emerge. Once the country is in full blown collapse someone is going to attack either by EMP, nuclear, or both. If we make it through the summer without martial law I’ll have to update again. Hopefully I will have to. Civil unrest is what I expect. It well be economic and civil unrest. Like what has been discussed, 2008 is still with a lot of Americans. The rich and politicians have made the recovery. But many lower income people are still struggling. Protests for a 15 dollar wage and promises of economical equality by politicians has fueled a hidden civil unrest along with racial unrest. The actions of both Russian and Chinese moves to devalue the dollar will trigger a collapse. J.m.o. As for what I prepare for, I prepare less by type of disaster than I do by basic human needs. The basic needs are pretty much the same, no matter what the disaster. As I meet my goals for the basics I do specific things for specific disasters. There really aren’t that many individual elements that aren’t appropriate for several sets of circumstances. My ultimate goal is to be as self-sufficient for as long of a period as it is practical to be in modern society. This is a list of the things I consider when I’m making preps, in alphabetical order. The dangers in some of them relate directly to peoples’ belief in them, as much as the actual event. Some things don’t have to happen to be a danger. The mere belief can be enough to set people on a destructive path.